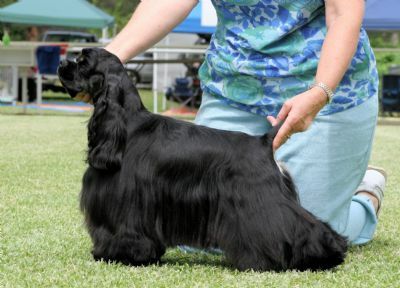 Kaila is a gorgeous black and tan girl from the first breeding of Lani. She is a very well balanced young lady, and has inherited her mother's beautiful head and substance. 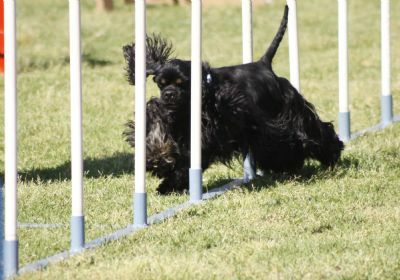 As well as brief sojourns in the conformation ring, Kaila continues to compete in the Agility ring, gaining her first Masters title in 2012. At this stage she is showing her grandmother's enthusiasm for performance events .... but at a much faster rate ! 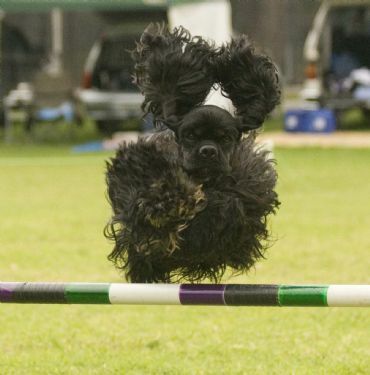 Kaila has competed at three National Agility Competitions, and at 8 years old, is still racing around the courses.